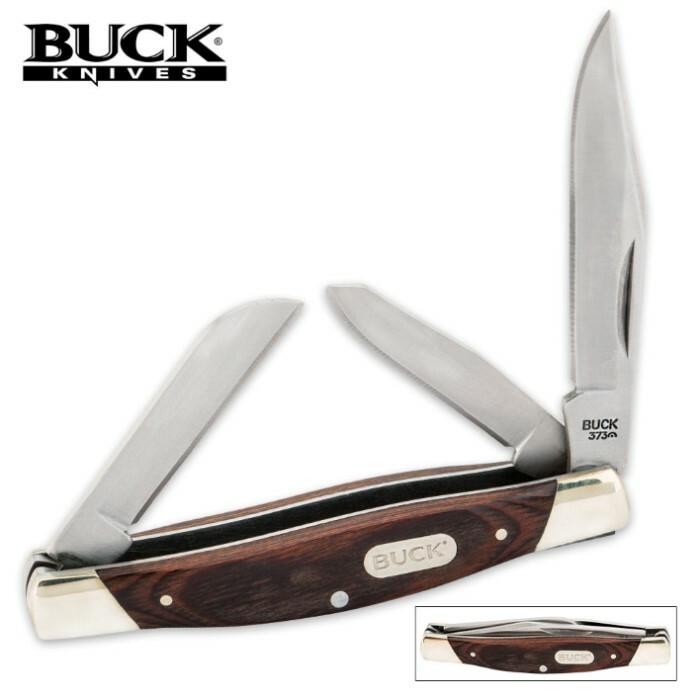 Buck Trio Three Blade Stockman Folding Pocket Knife | BUDK.com - Knives & Swords At The Lowest Prices! 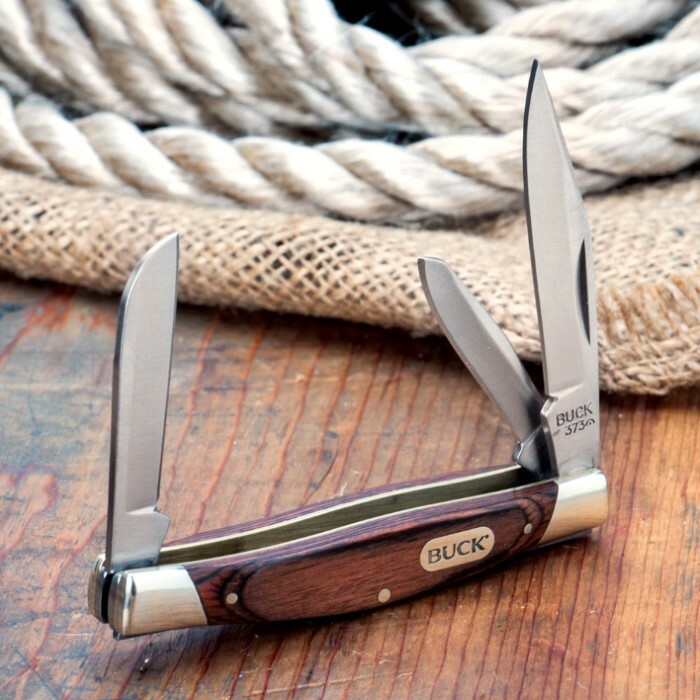 If you're looking for an everyday carry pocket knife, this Trio stockman from Buck Knives gives you Buck on a budget! 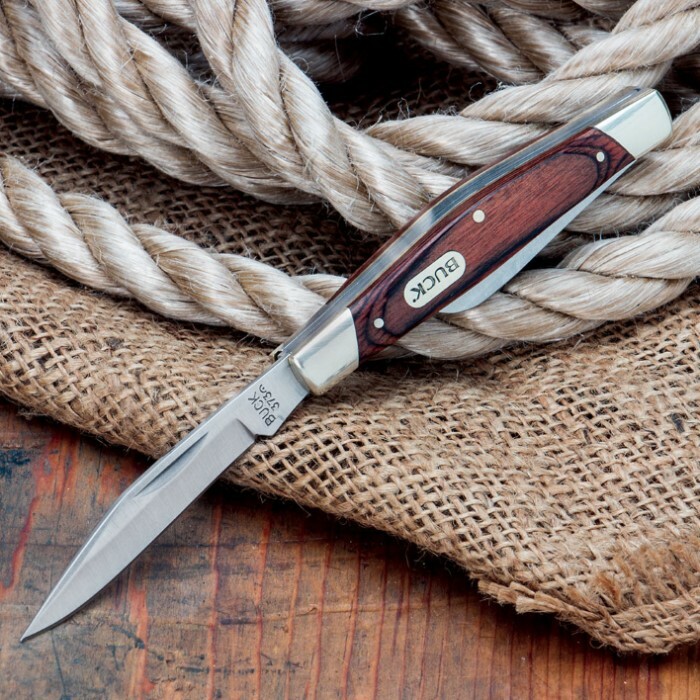 This value-priced pocket knife features a traditional design with 420J2 clip, spey and sheepsfoot blades, completed by a classic woodgrain handle. The polished bolsters, pins and Buck shield add the right amount of elegance to the Trio stockman pocket knife.